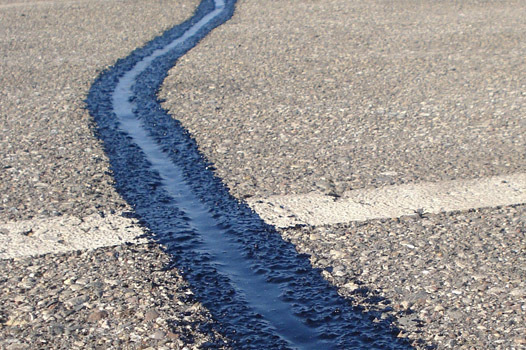 Crackfilling is often considered the most important thing to do when maintaining your asphalt surfaces. 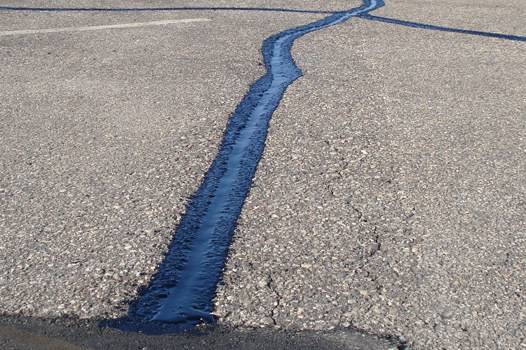 Cracks left untreated will lead to water penetrating the surface and causing further problems. 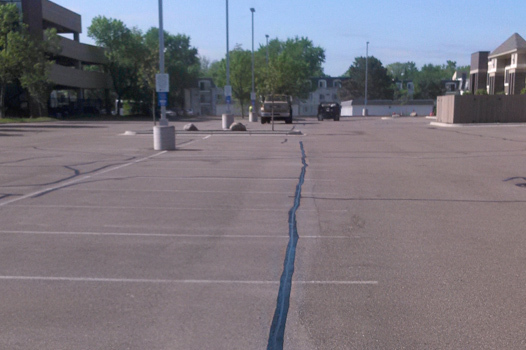 Untreated cracks will tend to multiply over time leading to more costly repairs. 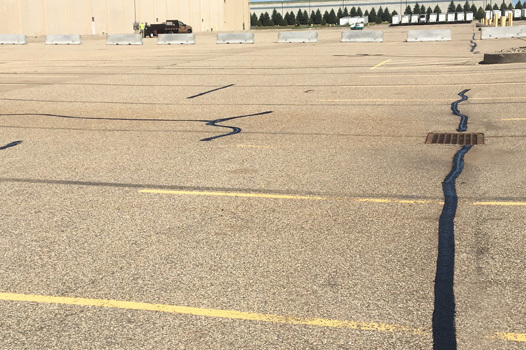 When looking at crackfilling it is important to note that highly concentrated cracks(alligatored areas) require patching and not crackfilling. One the most important steps in crackfilling is routing. Routing creates a reservoir for the material to expand and contract with variations in temperature. We rout every new crack we seal without exception. 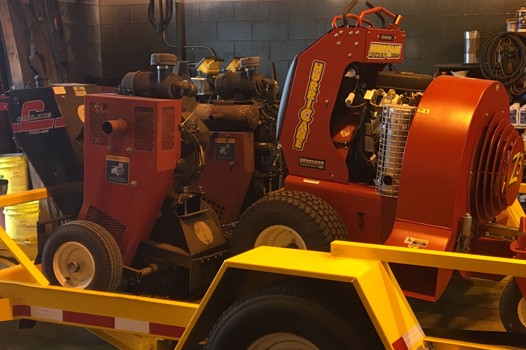 Collection of routed material using power sweepers is included in every proposal. 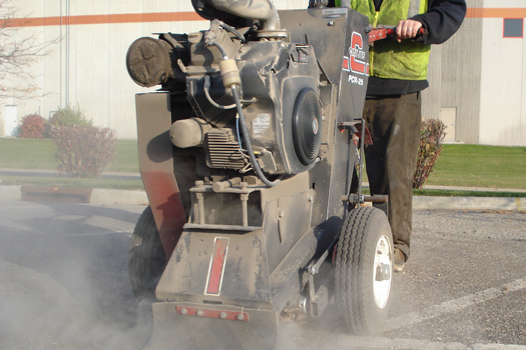 We want your asphalt surface as clean when we're done as when we first arrived on site. You can trust us to complete your crackfilling project the way it is designed to be done.